A fierce critic of both President Donald Trump and of the left, Schultz has been trying to carve out a moderate position as he considers a 2020 bid. Schultz ran through a slew of policy areas, generally hitting what he described as the “far left” and “far right” position on each rather than offering his own specific alternatives. Schultz’s proposals included a call for tax reform that would lower taxes “for the middle class and small businesses” along with a call for the wealthy to pay their “fair share” — including himself. “And by the way, the people deserve to see the tax return of anybody who is running for president,” Schultz said, vowing to release his returns if he chooses to run. 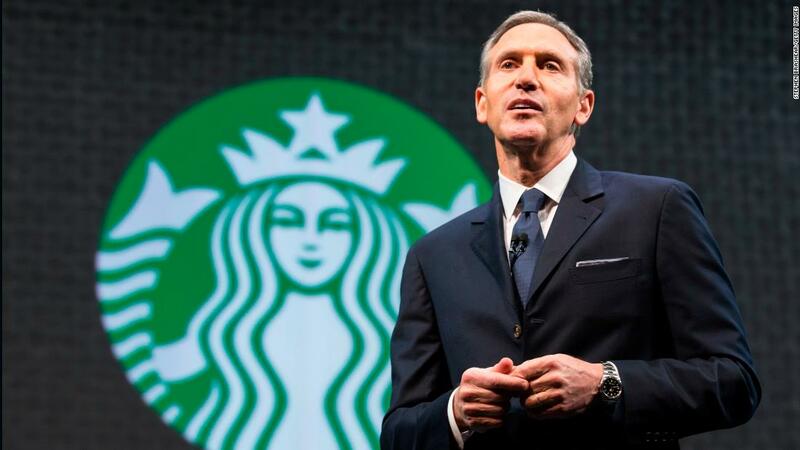 Schultz floated an independent bid for president last month, and he has continued to explore the possibility in high profile media appearances, including an interview on CBS’ “60 Minutes” and a CNN town hall event scheduled for next week. He drew a mocking tweet from Trump and sparked anxiety among Democrats about a potential spoiler candidacy, though fared relatively poorly in a recent CNN poll on the 2020 race. Schultz argued he would not enter the race if it would help Trump’s re-election chances.